Black Canyon Coffee is the largest and most well known operator of franchised coffee houses in Thailand established in 1993. 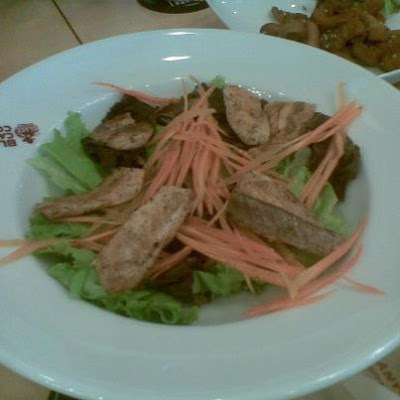 With over 190 branches all around Thailand, plus 40 international locations in Malaysia, Singapore, Myanmar, Dubai, Cambodia, China and Indonesia, its local franchisee--Royal Thai Food Phils. Inc. brings Black Canyon's excellent coffee servings of the highest quality to the Filipino coffee enthusiasts. The store officially opened its first branch at the Food Street area of SM Southmall on June 22nd. Its 160-sqm restaurant can accommodate around 100 guests. 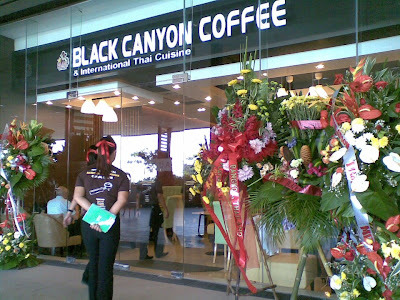 According to Miss Wilma Dy, Black Canyon Coffee has the best aroma and taste. And since it is made from 100% fresh coffee beans imported from around the world, patrons will surely savor coffee richness in every cup. 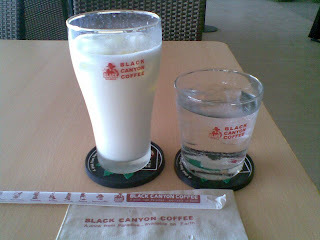 What is unique about Black Canyon Coffee is that it combines its high quality coffees with international Thai cuisine menu, which is first in its market! Coffee menu includes hot coffee, iced coffee and frappe, and wide range of food menu such as salads, sandwiches, pastas, rice dishes and desserts. 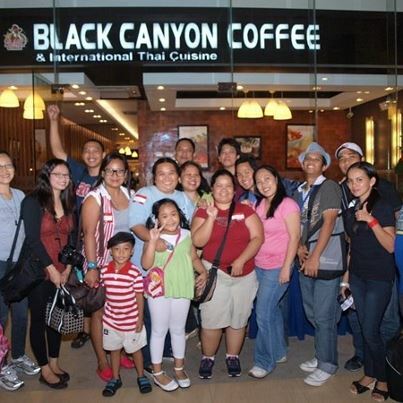 Invited bloggers were treated to a feast of pallattes last Sunday at Black Canyon Coffee in SM Southmall. We tried their signature beverages plus auhentic dishes like Tom Yum Goong, Pad Thai, Pork Strips with Sesame Seeds and Grilled Salmon. We were surprised to learn that the variety of food and beverages in menu fits the budget. An iced milk drink costs only P65 and you can buy a smoothie for less than P120. Dessert treats are around P40 to P65 per serving. Black Canyon Coffee has something for each one in your family. Go visit them and have a taste of authentic Thai drinks and food within your budget. I'm happy to be the first to taste these Thai specialties. Thanks to Azrael Coladilla for this opportunity.